Stand out with a winning resume. Whether you're looking for a new job, applying for a small business loan, or trying to secure a new client, you're likely to need an updated resume to accomplish your goal. A fill-in template can be a great tool to give you a head start with formatting the document. LoveToKnow has created two such documents that you can download, edit, save and print. 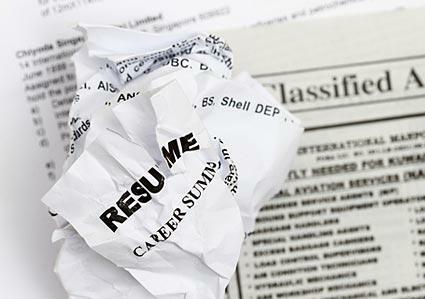 It's important to select the type of resume that is best suited for your background and goals. Chronological and functional resumes are two of the most popular styles. Simply click the image for the form you want to use to download it and begin customizing. If you need help downloading the printables, check out these helpful tips. If you are seeking a job that closely matches your educational background and/or previous work or volunteer experience, a chronological resume is ideal for you. This format gets its name because it presents educational experience and previous work history in reverse chronological order, started with your current or most recent experience and listing other positions or educational experiences in order, ending with what you completed the longest ago. If providing a summary of your skills and experience is a better way to convey your qualifications for the job you want than showing a progression of your professional background and education, a functional resume may be the best option for you. This resume style focuses on your overall qualifications and skills rather than clearly delineating exactly where you did what. Your current and former positions are listed, but are secondary to narrative that describes what you have done and what you are able to do. Once you have selected the template that you want to use, customizing it for yourself is not difficult. Note that you will need to have Adobe Acrobat Reader 10.1.3 or newer installed on your computer to edit the document. If you do not have it or if you are running an older version, go to Get.Reader.com to get or update the software free. Once you have updated your software, if necessary, simply click on each part of the form that needs to be filled in with your information and change the text to what you need it to say. When you are finished, use the diskette icon (fourth icon from the left) at the top to save the document to your computer. Note that you will be able to continue to edit the document any time that you want to update the information. Use the print icon to send a copy to your printer. 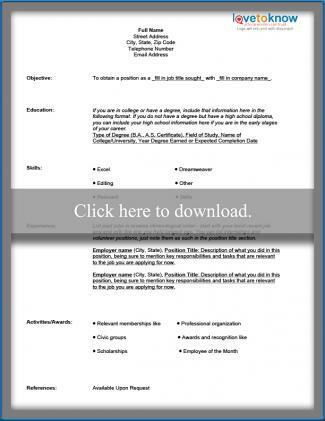 Be sure to choose appropriate resume paper if you will be distributing hard copies to prospective employers. It's important to look very closely at the document you produce before distributing it to employers, funders, or clients. Proofread it carefully to ensure it is free from grammatical mistakes and typographical errors, and adjust the objective before sending it out so that it is targeted for the specific job you are applying for. Keep in mind that your resume often serves as your first impression, so it's essential to make sure it sends the right message to those who receive it. Also keep in mind that your resume needs may become more specialized as you progress throughout your career. As you acquire significant experience and start looking for higher level jobs, you may need to change to a different type of resume such as a combination document, which features elements of both chronological and functional styles.